Design is a widely-misunderstood discipline. In fact, the design profession itself often accepts and promotes a vague and misleading definition of design. The Nature of Design asks design professionals, their clients and interested students to examine the fundamental nature and practice of their discipline, and to understand the true criteria behind design and the design process. In this insightful, irreverent and beautiful exposition of the design process, one of the world's most prolific practitioners proposes an absolutely clear distinction between Design and Art. Whereas artists express their own interpretations of the world, the designer's charge is to translate their client's vision into reality, orchestrating a complex, often-conflicting array of criteria into a single solution. The ability to design well--to orchestrate effectively, and even efficiently--requires a broad and adaptable capability, derived from specific knowledge and skills, applied in a pragmatic and effective design process. Questions of a designer's personal style and expression must follow the process, not lead it. 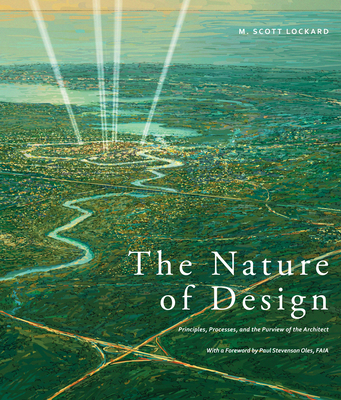 By its integration of insightful philosophical stance, practical application, and visual example, The Nature of Design is not only a primer for students and reference for practitioners, but a revealing behind-the-scenes tour for clients, and anyone with an interest in the practice of design and architecture. Conversational yet uncompromising in its message--illustrated throughout by hundreds of actual design drawings from real-world projects of all types and scales demonstrating Lockard's highly effective and versatile process--the book's overarching principles will find application in all fields of design.